This church was built at the end of the 18th century. XVI or beginning of the century. 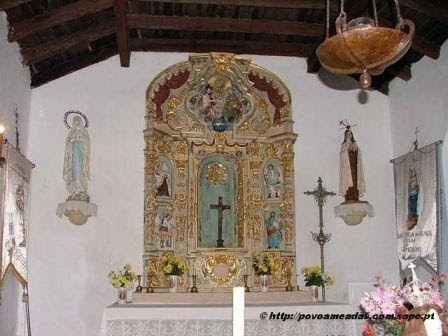 XVII.The Misericórdia church is located in the town of Póvoa e Meadas, municipality of Castelo de Vide.The church is constituted by three volumes: nave, chancel and sacristy.The nave is rectangular, the ceiling is trapezoidal in slatted wood resting on bars.In the North wall the main door is opened, topped by a rectangular window, in the South opens the triumphal arch of perfect back granite resting on capitals that overlap the shoulders. On the left side a pulpit was built on the wall. This is the access door to the sacristy.The main chapel is quadrangular, the ground is over-elevated relative to that of the nave. On the west and east walls, a window is ripped perfect for lighting, on the south side stands the altar table.The main facade faces north and ends at an angle, surmounted by a stone cross. To the center has the main door which is reached by a plateau of three steps.The outer face of the jambs and the lintel are decorated with two crosses of Christ, a hexalfa, two pentalfas and four crosses of Malta inscribed in circles.Closing the door, a window is torn for lighting the ship. To the right, at the west end of the roof, stands a small bell-tower. Esta igreja terá sido construída nos fins do séc. XVI ou início do séc. XVII. A igreja da Misericórdia situa-se na povoação de Póvoa e Meadas, concelho de Castelo de Vide. A igreja é constituída por três volumes: nave, capela-mor e sacristia. A nave é rectangular, o tecto é trapezoidal em ripado de madeira assente sobre barrotes. Na parede Norte abre-se a porta principal, encimada por um janelão rectangular, na do Sul abre-se o arco triunfal de granito de volta perfeita assente sobre capitéis que encimam as ombreiras. Ao lado esquerdo foi construído um púlpito, na parede Este está a porta de acesso à sacristia. A capela-mor é quadrangular, o solo é sobre-elevado em relação ao da nave. Nas paredes Oeste e Este, rasga-se um janelão de volta perfeita para iluminação, na do lado Sul ergue-se a mesa do altar. 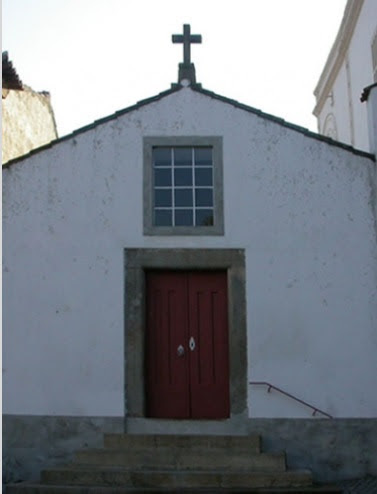 A fachada principal é orientada para Norte e termina em ângulo, encimada por uma cruz de pedra. Ao centro tem a porta principal a que se chega por um patamar de três degraus. A face exterior das ombreiras e do dintel são decoradas com duas cruzes de Cristo, um hexalfa, dois pentalfas e quatro cruzes de Malta inscritas em círculos. Encimando a porta rasga-se um janelão para iluminação da nave. 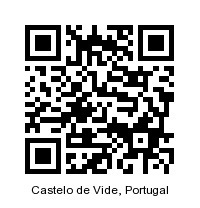 À direita, no extremo Oeste do telhado, ergue-se uma pequena sineira com sino.